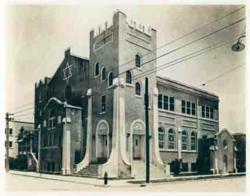 Beth David Congregation, Miami’s first synagogue, will celebrate its 100th anniversary by hosting a gala on March 24, 2012. The synagogue, founded in 1912, will host a 1912-themed celebration and will pay tribute to 14 multi-generational families who have played an integral role in the congregation’s establishment. 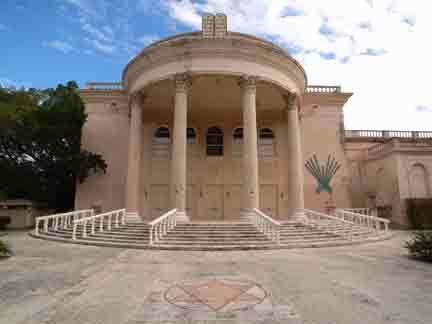 Beth David’s Gala will be held on Saturday, March 24, 2012 at Beth David Congregation, 2625 SW Third Avenue, Miami. The couvert for this event is $136 per person. Dietary laws observed. To rsvp, visit http://www.bethdavidmiami.org or call 305.854.3911. Other centennial highlights include the restoration of the Jewish section of the City of Miami Cemetery, founded by Beth David, on April 22; a Shabbat service honoring 100 years of Beth David educators on May 19; a multi-generational family fun day; and the restoration and rededication of a Torah scroll. For more information about Beth David centennial programming, visit http://www.bethdavidmiami.org, contact 100years@bethdavidmiami.org or 305.854.3911.